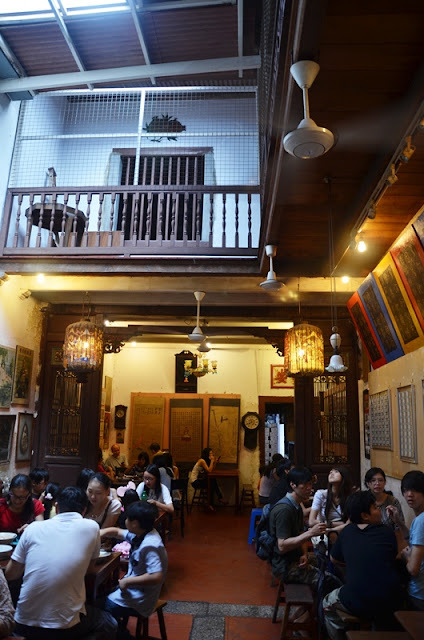 A popular spot with tourists and locals alike, it was my second visit to Jonker 88. Well, technically 3rd, because the first day that we were in Melaka and I was craving for some solid chendol, they were sold out at like 5pm. Like my first visit 3 years ago, there was a queue for the ordering of food, even for breakfast! 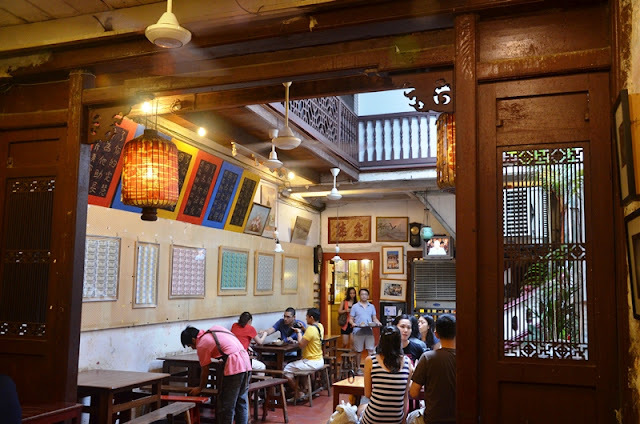 Contrary to most restaurants, Jonker 88 had their food prepared on the spot at the front of the shop, with their signature chendol and laksa booths to the left and right of the shopfront respectively, while their kueh paiti, yong tau foo counters were inside the shop. Basically you would need to squeeze your way through to the inside in a 'bottleneck layout' to the more spacious interior. 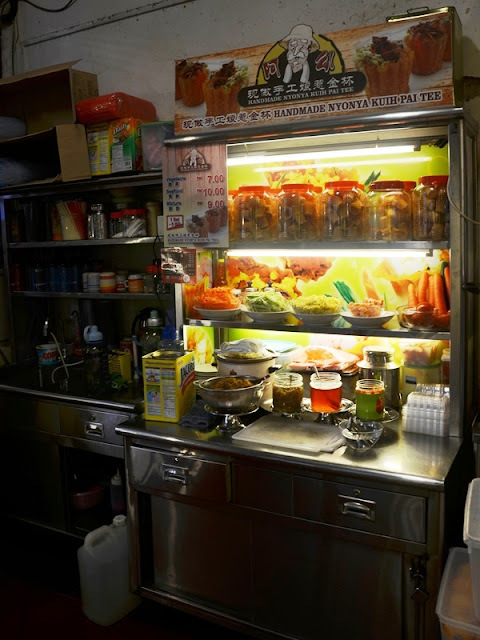 Orders would need to be placed at the counters in person together with payment and with the brisk business and constant stream of customers, everything was expected to be self-service including collection of utensils, just like the gentleman in front of me in the queue. Upon collection of food, be ready to be greeted by an array of vintage collections and antiquarian displays. 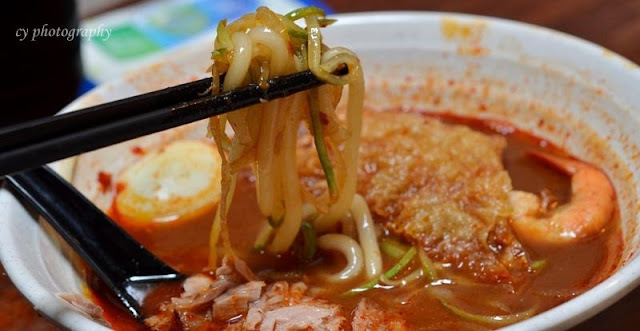 This is a sour, fish based soup noodles. Shredded pieces of fish are usually used such as kembung, selar or mackerel. Asam which in Malay meant tamarind explained the primary sour flavor in the stock used for this dish. 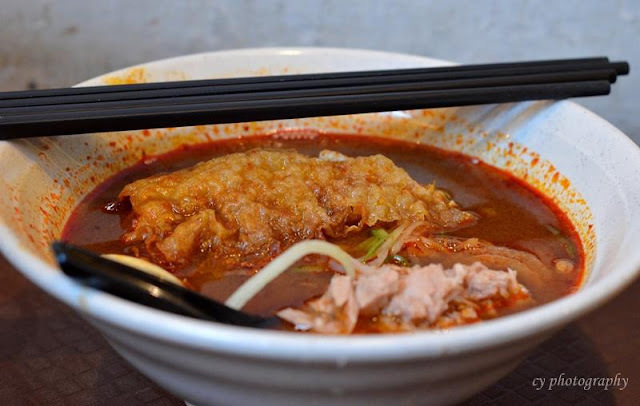 (+) Variation to the usual Asam Laksa with addition of dry beancurd nor hardboiled egg. (+) The strong tamarind flavours infused into the stock was very stimulating and refreshing. (+) Well balanced stock with a tinge of spiciness to the primary sourish stock. (+) Big chunks of the fish and in general a very generous serving, value for money. (+) Instead of the usual cheaper fish suggested above, tuna was used. 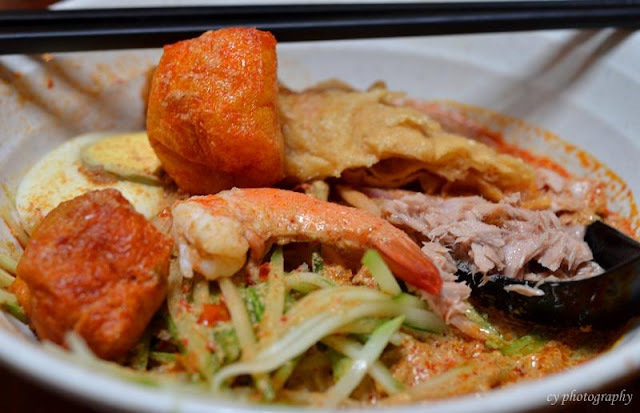 (+) Good choice of thick vermicelli noodles which was harder to absorb the stock, allowing you to have a varied mouthfeel of tastes for the plain noodles would help to dissipitate the strong flavours from the stock. Well, this is otherwise your usual coconut milk based curry laksa. The difference would be the addition of bean curd puff being added and of course the stock being slightly creamy. (+) Generous serving and rich, fresh coconut milk. (+) The dry bean curd and bean curd puff were very crisp. (+) All ingredients used were very fresh. (+) Thin vermicelli was used for baba laksa, good variation in mouthfeel since we had the thick vermicelli for the Nyonya Asam Laksa. (-) The curry stock was less than sufficient, but could just return to the lady to get a refill. (-) Comparing to the Katong Laksa, it was less creamy in terms of the coconut milk. (+) The yellow noodles were al dente and did not have the usual ammonia smell. (+) The dry wanton (dumplings) were freshly fried and very crispy. 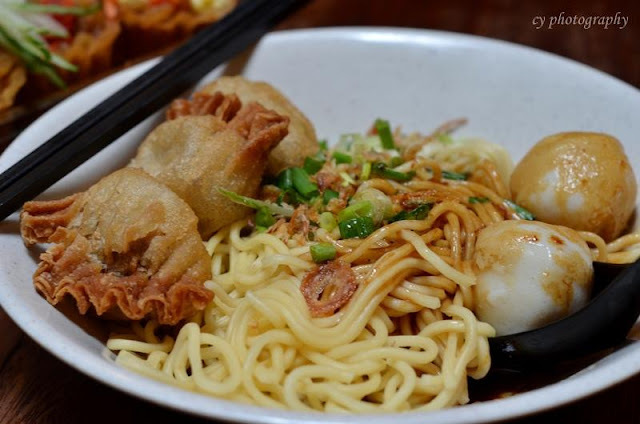 (+) The minced meat in the wantons were very succulent and juicy, generous serving too. (+) Like the rest of the dishes, value for money for the amount of food. (-) The condiments mixed with the soy sauce were too oily for our liking. 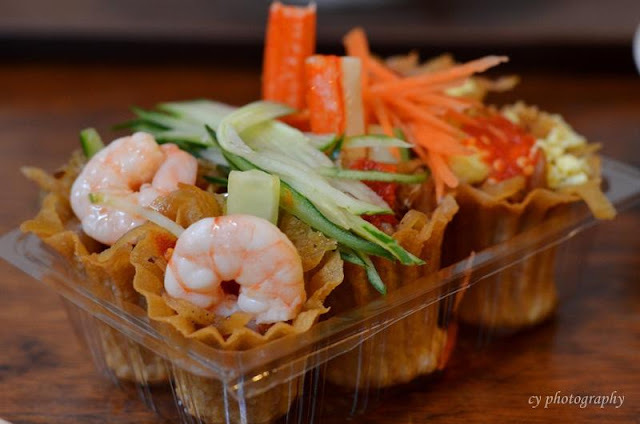 Finely sliced turnips with toppings such as crushed roasted peanut bits or shrimps and the likes, it was presented in a little flour cup deep fried to a golden brown crisp, well ideally. 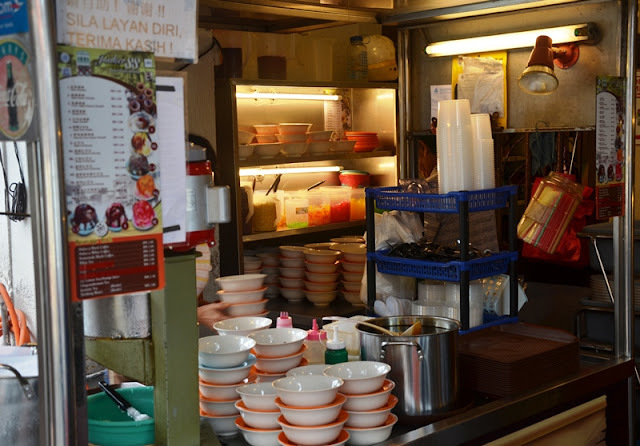 Like the rest of the dishes, the kueh paiti were made to order. (+) Offered in a mixed combination of vegetarian and seafood and sold in 6s. (+) Very fresh ingredients were used in each, be it shrimps, crab meat sticks, egg bits. (+) The dash of chili sauce was very spicy and strong with zesty lime aftertaste. (+) The flour cup was very crispy and thin fried to the perfect golden delicious benchmark. (+) Non-greasy and we would have ordered another serving if stomach space permitted. (+) The sliced turnips were slow-cooked to a flavoursome and fragrant burst. 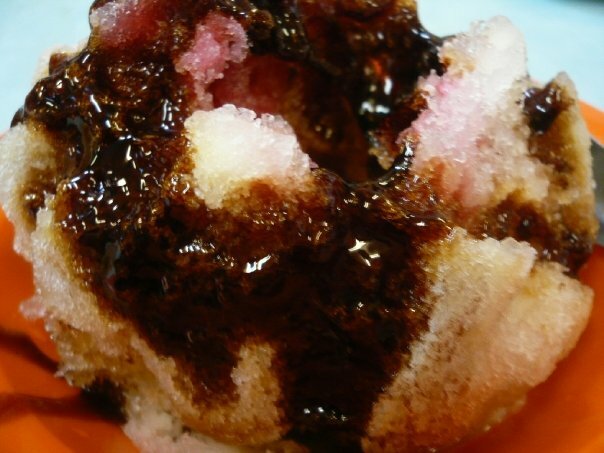 (-) Consume it upon ordering, else the flavoursome juices from the sliced turnips might seep out and result in a soggy flour cup. 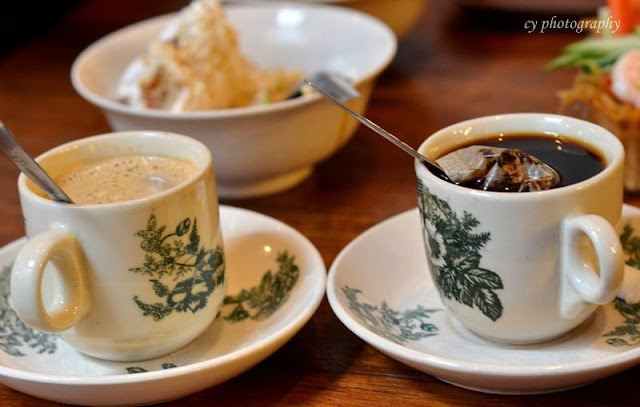 White coffee was rich and very fragrant as it was fresh brew but it was too sweet for me. I was rather surprised that the black coffee was merely hot water added onto a sachet. It did not taste horrible, but somehow the presentation put me off quite a bit with the sour aftertaste, with a tart flavor such as unripe fruit. It was rather lacklustre in terms of flavour, definitely not a full-bodied roast for a morning perk-me-up. 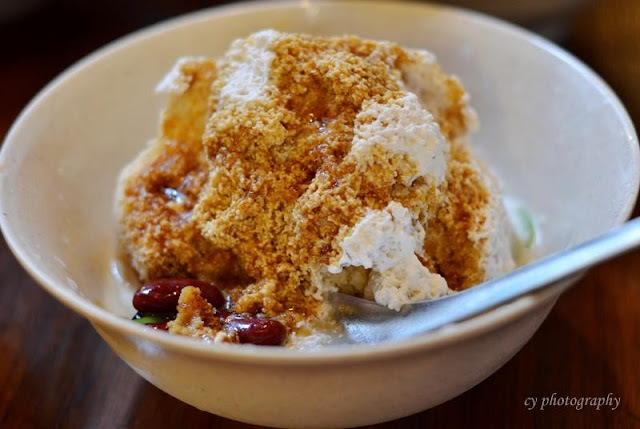 Largely drawn by the gula melaka (palm sugar) drizzled over the chendol, it was definitely not to be missed. I was largely disappointed though considering the amount of gula melaka on our 2 bowls of chendol. By the time I was done photographing the other dishes, the chendols were beginning to melt so we started digging in and only managed to shot one of the 2 bowls. Anyhow, it was a huge difference from what I had 3 years ago where the pouring of gula melaka was way generous. 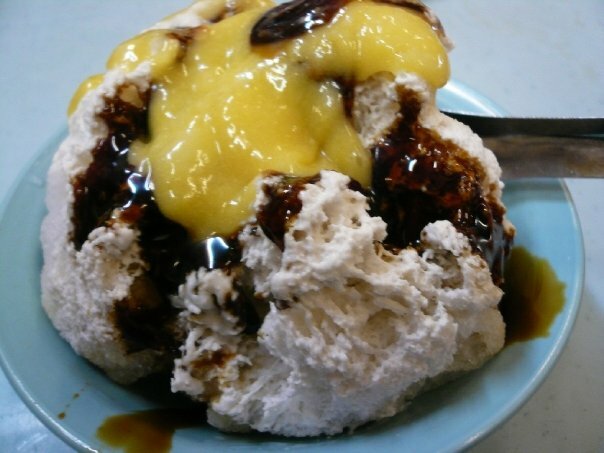 That was pretty much the reason why I visited Jonker 88 really, for it was the best I had. 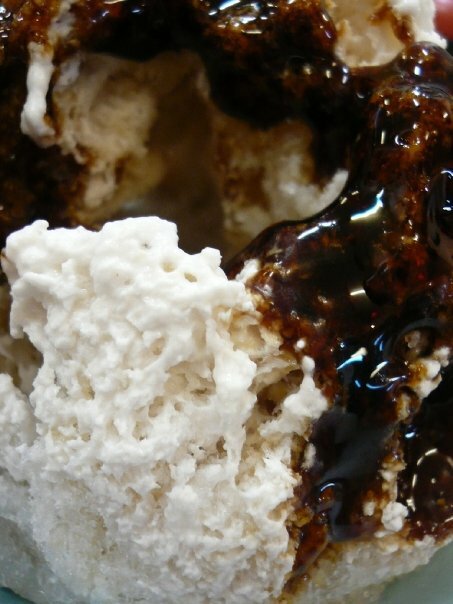 (+) The gula melaka on the chendol was good, well balanced with santan (coconut milk). (+) Sweet and very rich in santan. (-) The serving of the condiments (sweetcorn, red bean, attap seeds, crushed peanuts etc) was relatively small, so I certainly felt that it was overrated. (-) Was hard not to compare with my previous visit (since it took us quite a bit of effort to travel to Melaka to taste), so definitely the reduced serving of gula melaka put me off. Did not try the durian chendol nor ABC this time round, so could not comment on those. 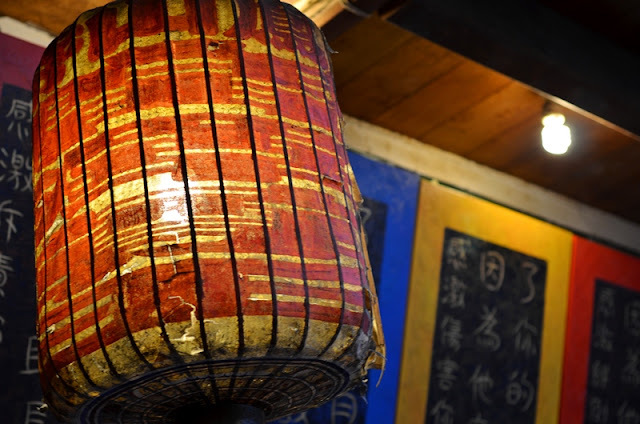 I was particularly intrigued by the effort devoted by Jonker 88 in decorating the interior of the restaurant. Chinese oldies such as the 70s music was played while we were enjoying our breakfast. Coupled with the interior design, it was certainly a very fulfilling dining experience. Very fascinated with the stark contrast in wall paintings. 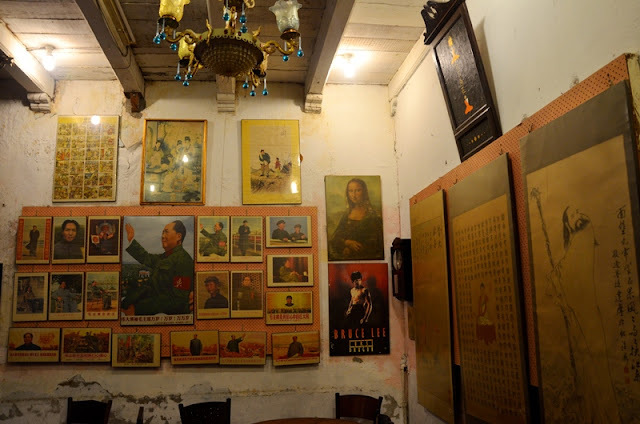 Mao Zedong to Mona Lisa? 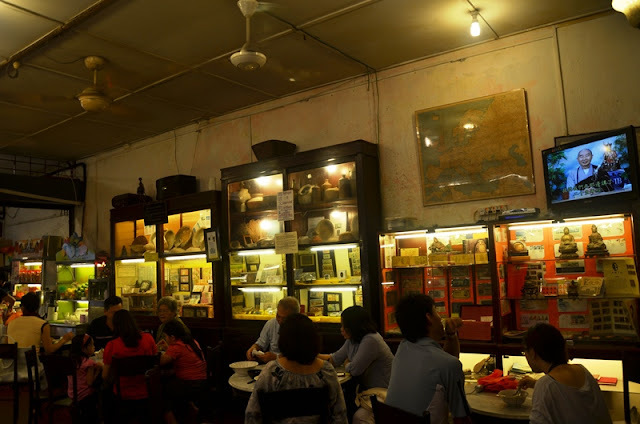 The abundance of vintage items on display, on the wall or just by the basin, coupled with the Chinese music playing softly through the old speakers brought a very nostalgic feeling. Basked in the warm sun light shone through from the upper levels of the building, it put me right back onto a good holiday mood. 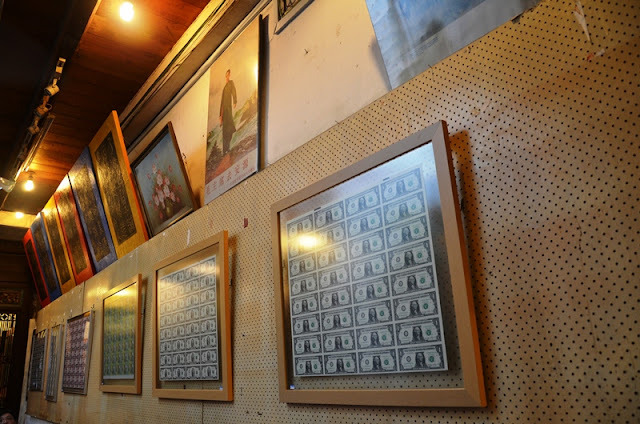 With some research, I realized that this restaurant actually doubled up as a museum. One might wish to refer to www.jonker88.com for more information. 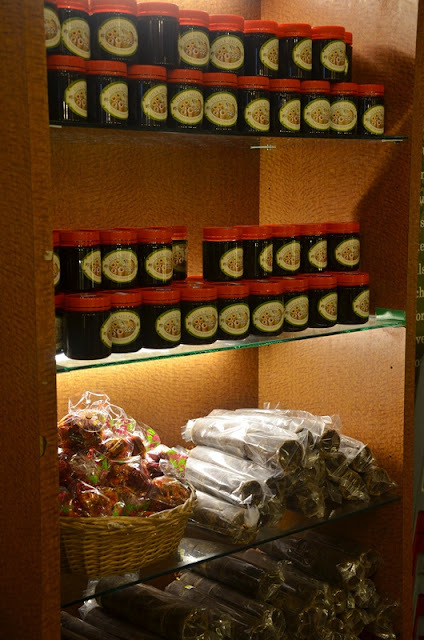 On the way out of the restaurant, we noticed that they actually sell bottles of Gula Melaka and candies, so for those (like myself) who did not have their cravings satisfied could buy home some to further indulge! 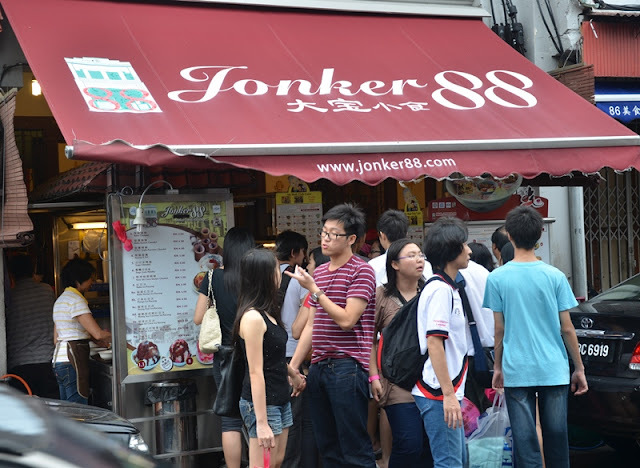 We have just finished a post about Jonker 88 Jonker Street! Hope you'll enjoy our post and if you do, "like" us on Facebook TODAY! Thanks Tom for highlighting it to our attention! Already a fan of yours on Facebook. :) Keep up the great work!